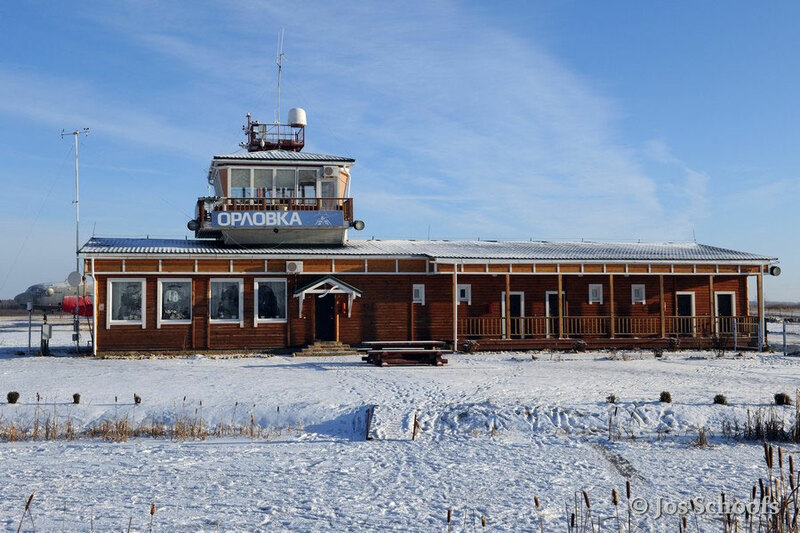 Orlovka (Орловка) is a small private airfield with a 2,600 feet long hardened runway, two modern hangars and a comfortable clubhouse with a well-equipped control tower. 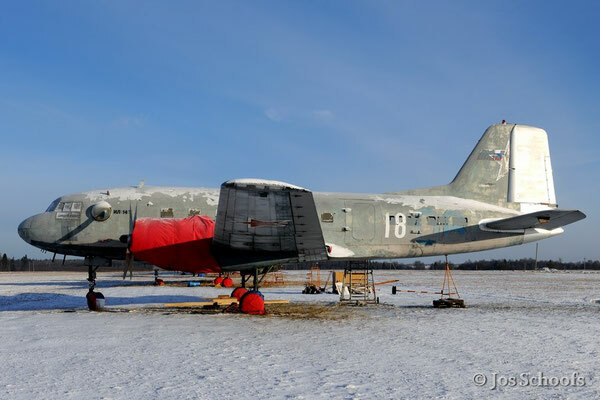 It is situated about 170 km WNW of Moscow in the Tver region and is not only home to recreational fliers, but also to aircraft collectors who are flying a number of rare airplanes. Although a total of 1,348 Ilyushin Il-14 (NATO reporting name “Crate”) twin-engine commercial and military personnel and cargo transport aircraft were built, airworthy examples are becoming very rare, even in the Russian Federation. 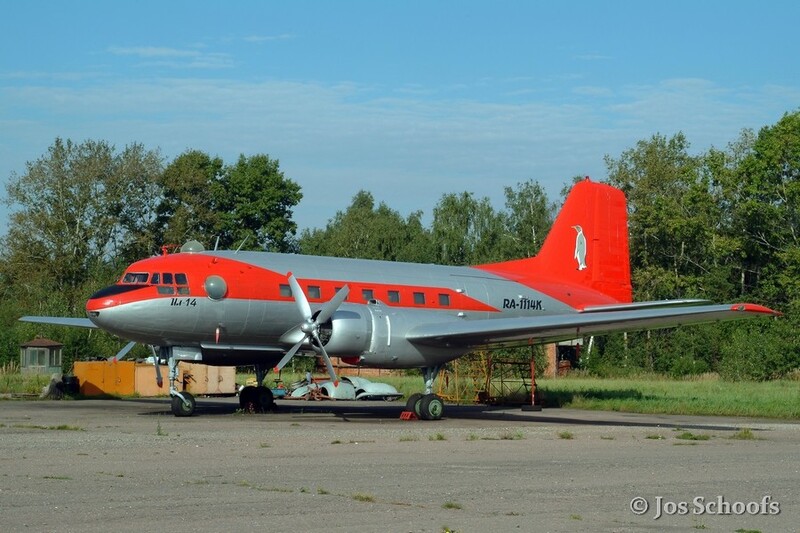 The prototype Il-14 first flew on 13 July 1950 and serial production started in 1954. Between 1954 and 1958, 1,065 aircraft were built in two factories in the former Soviet Union: the No. 84 “Chkalov” Plant in Tashkent and the No. 30 Machinery Plant at the former Moscow-Khodynka Airport. A further 203 were built under licence by Avia in the then Czechoslovakia, as were 80 by the Dresdner Flugzeug Werke in the German Democratic Republic. 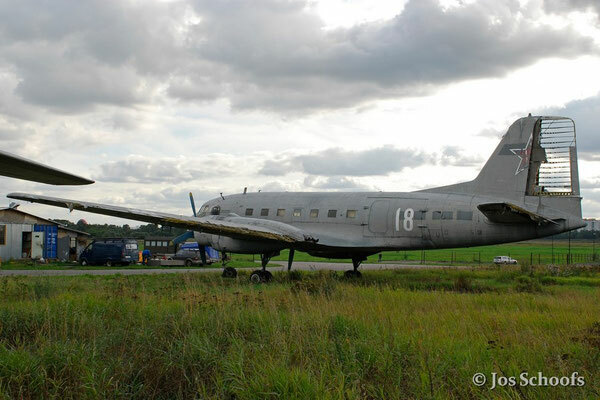 At present, only a handful of Il-14s are surviving in the Russian Federation and only three of these are airworthy. 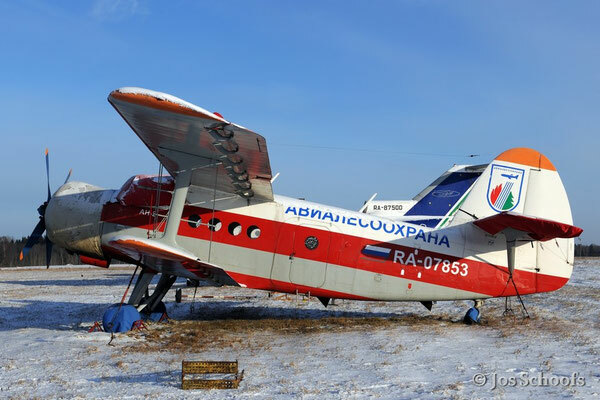 Two of the flying examples are based at Orlovka and are owned and operated by Albatross Aero (Альбатрос Аэро), a non-profit organisation aiming at the restoration of unique historical aircraft and helicopters into static display or flying condition. 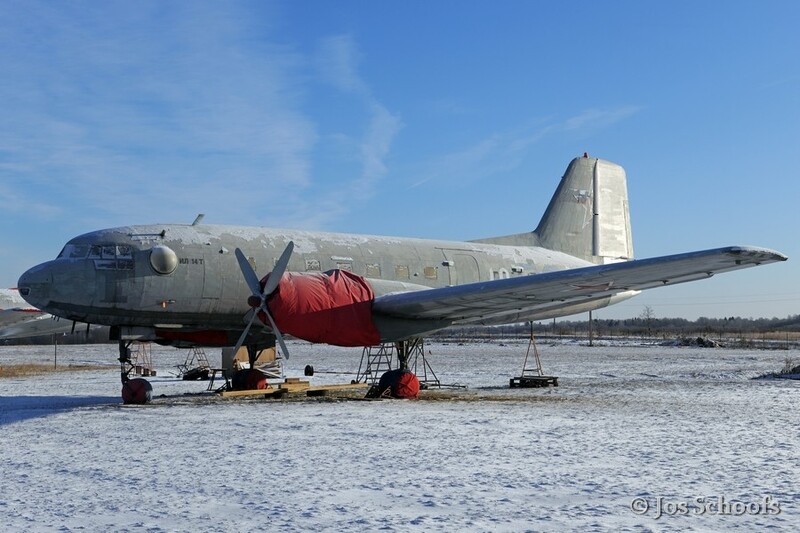 The “Penguin” is an Ilyushin Il-14T which was built by the No. 30 Machinery Plant in Moscow with construction number 147001640 and manufacturing date 27 September 1958. 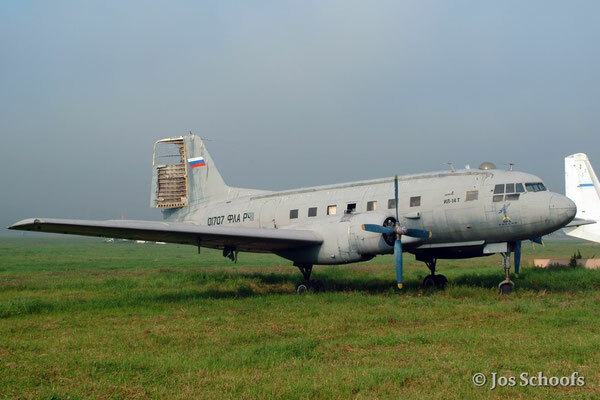 It served with the Soviet Air Force as a transport aircraft carrying the tactical code 23 Red. In 1974, the aircraft was converted into a flying laboratory for testing and calibrating ground based navigation and secondary radar systems. 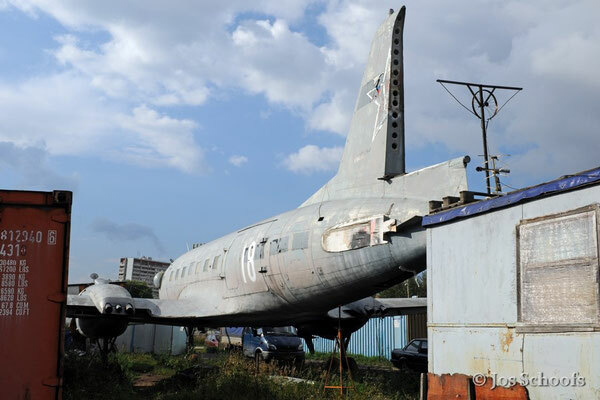 It was withdrawn from military service in April 1987 and transferred to Moscow-Myachkovo Airport, where it remained in storage for some years. The aircraft’s civilian career started when its restoration to flying condition was initiated in 1993. It was back in the air by 1995 and was operated for pleasure flights in a uniformly white colour scheme with a grey underside. It carried the Cyrillic letters АСК (Авиационно-Спортивный Клуб - ASK - Aviation Sports Club) on the vertical fin and serial number 01114 FLA RF (01114 ФЛА РФ, Федерация Любителей Авиации Российской Федерации, Federation of Amateur Aviators of the Russian Federation) on the fuselage. Pleasure flights continued until 2004, when operations at Myachkovo were suspended for a couple of years following the fatal post take-off crash of Lisunov Li-2T RA-1300K (a Soviet-built DC-3/C-47) on 26 June 2004 while performing unauthorised passenger flights. 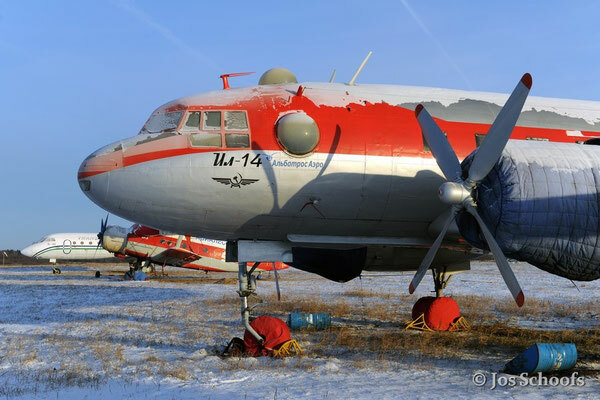 It was in the same year that the Il-14T received a new serial number (RA-1114K) and a new livery based on the high visibility red and silver colour scheme of the Soviet era aircraft used for polar flights to both the arctic and Antarctic regions. A large penguin was applied to the tail, explaining the aircraft’s current nickname. The “Penguin”, however, remained grounded until it was acquired by Albatross Aero in 2011 and subsequently restored to flying condition by volunteers of this organisation. The Shvetsov ASh-82T engines were run for the first time on 27 November 2011, followed by low speed taxi trials on 8 May of the following year. On 1 October 2014, the “Penguin” made its first post-restoration flight and was transferred to Stupino general aviation airport, a former military transport base with a 7,000 ft concrete runway located some 100 km SSW of Moscow. 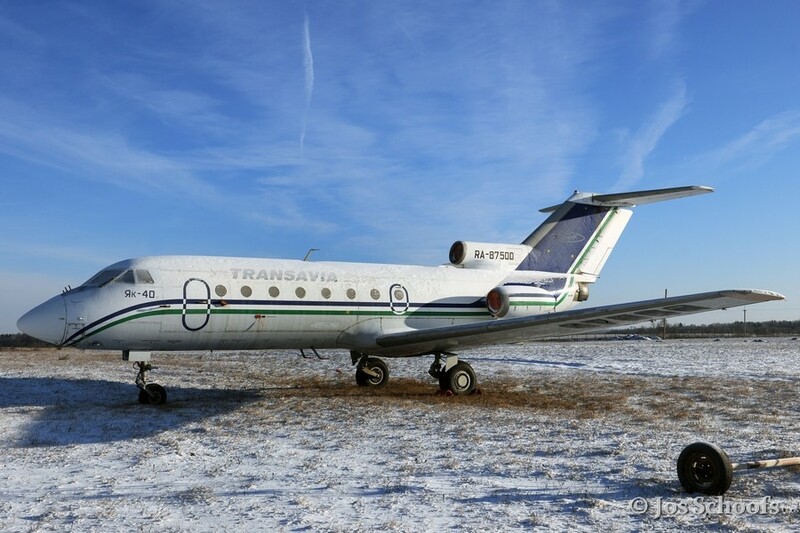 Its new, fictitious serial number SSSR-91612 (СССР-91612) is probably taken from the Il-14 starring in the 1971 Lenfilm movie “Cleared for take-off!” (Разрешите взлёт! ), in which the aircraft, with a malfunctioning starboard main landing gear, makes a heroic emergency landing by lowering its starboard wing on a driving truck. 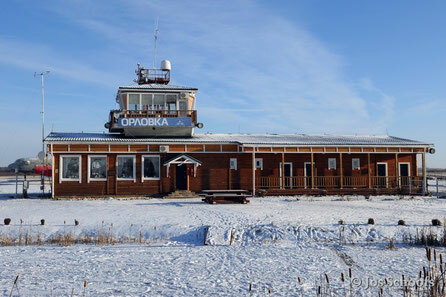 The aircraft changed airfields on 26 October 2014, flying to Orlovka, the home base of Albatross Aero. 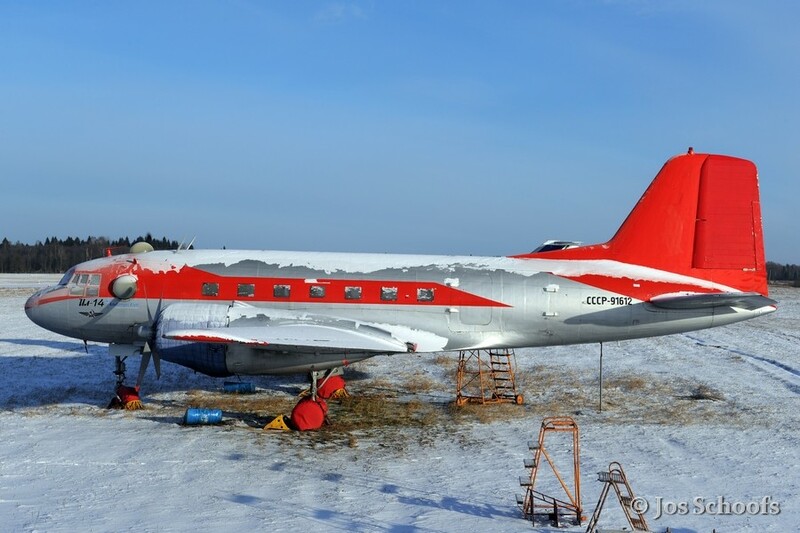 Ilyushin Il-14T RA-1114K “Penguin” received its present polar flight colour scheme and penguin drawing on the tail at Myachkovo Airport, where it was seen on 26 August 2004, shortly after being repainted. 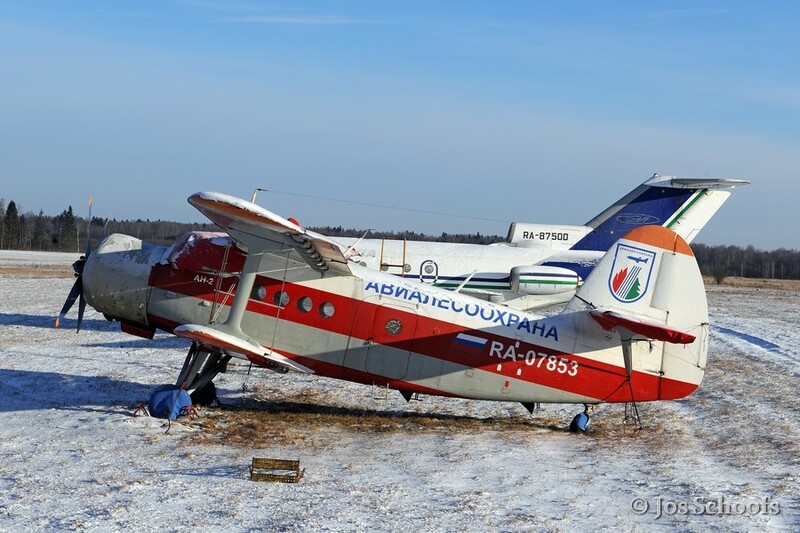 The “Penguin” at the Albatross Aero home base Orlovka on 2 January 2016, still in the same colour scheme, but without the penguin on the tail. The “Blue Dream” too is an Ilyushin Il-14T (c/n 147001647) built by the No. 30 Machinery Plant in Moscow in 1958. Its manufacturing date is recorded as 1 October 1958 and its acceptance date by the Soviet Air Force as 30 October 1958. It served with the Air Force as 06 Blue until it was withdrawn from use on 22 June 1994 with 7,193:28 hours total flying time and 493:57 hours since overhaul. It was subsequently stored at Ostafyevo, then a pure military air base, nowadays a dual use military air base and civilian airport located about 25 km SSW of Moscow’s city centre. Around the turn of the century, the aircraft was acquired by the Federation of Amateur Aviators and transferred to Moscow-Tushino Airport. 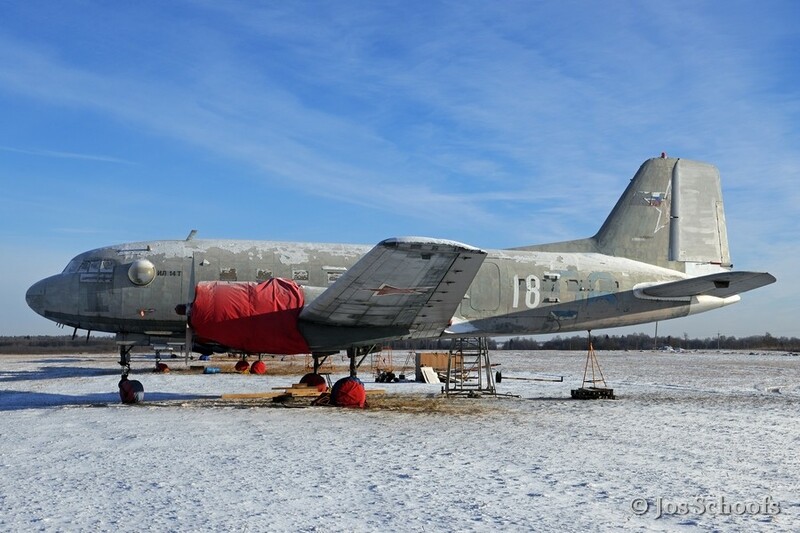 Although the serial number 01707 FLA RF (01707 ФЛА РФ) was applied on the fuselage, the Il-14T never flew from Tushino. In 2004, the aircraft featured in the cinematic novel Moscow Saga (Московская Сага) as 18 White, representing a wartime Lisunov Li-2. Initially, the role would have been played by Lisunov Li-2T RA-1300K, which, however, crashed only months before the shooting of the serial started. The “Blue Dream” was acquired by Albatross Aero in 2009. Restoration work started in the winter of 2010-2011 and comprised among others the removal of the control surfaces to apply new covering fabric, repair of the wing and fuselage surfaces, cleaning of the cockpit and cabin, replacement of the electric wiring and hydraulic lines, testing of the landing gear, and refurbishing of the propellers, engines and fuel system, etc. 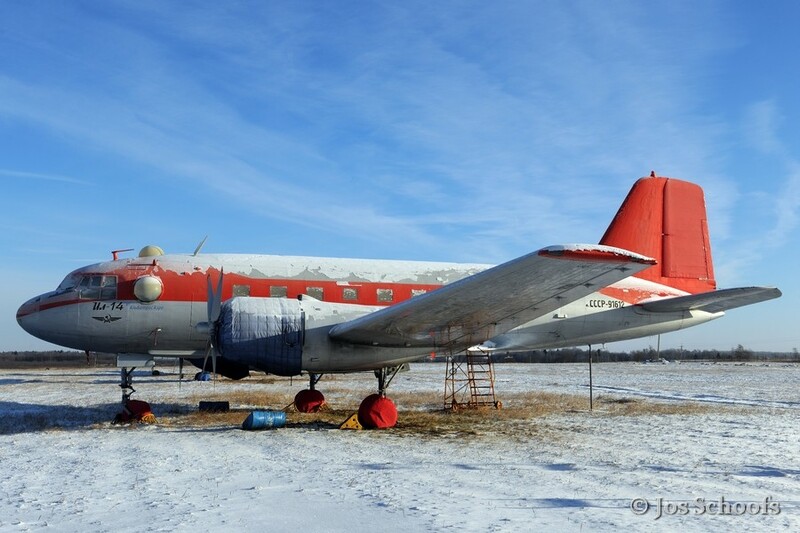 For all this work, the volunteers of Albatross Aero were assisted by a similar group of the Central Air Force Museum in Monino and a number of veterans of the No. 30 Machinery plant. Although the first engine runs were performed in January (starboard) and April (port) 2012, it took almost two more years until the aircraft took to the air again on 21 May 2014. 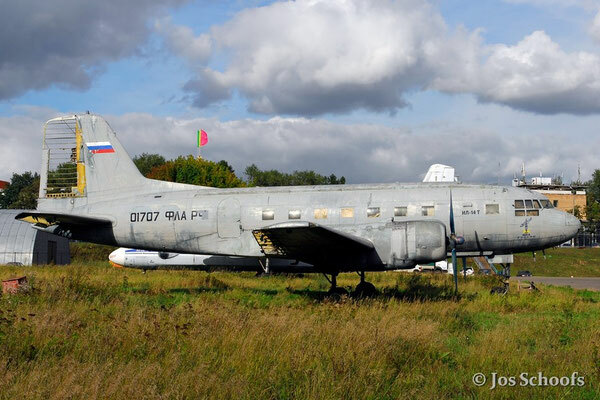 The Il-14T left Tushino on that same day and was ferried, the undercarriage extended, to Albatross Aero’s home base Orlovka. On 26 September 2015, a further check flight took place at Orlovka to test the landing gear retraction and extension as well as to evaluate the aircraft’s slow speed handling characteristics. When Ilyushin Il-14T 01701 FLA RF was seen at Tushino airfield on 31 August 2004, it still was in pretty good condition except for the fabric covering of the control surfaces which was already decaying under the harsh winter weather conditions and high summer UV radiation. 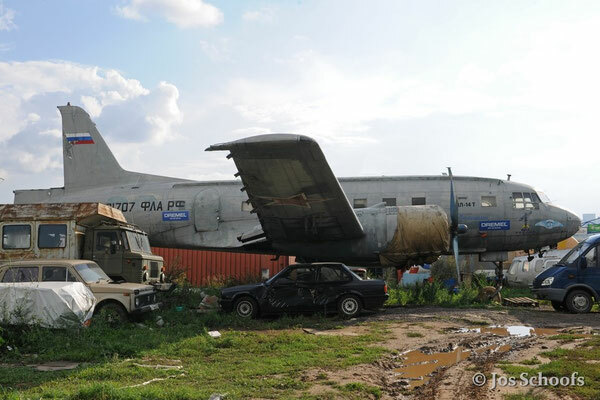 Tushino is a former general aviation airfield just NW of Moscow’s city centre where flypasts of military aircraft were organised during the Cold War on the third Sunday of August, “Soviet Air Forces Day”, showcasing the latest in Soviet military aviation innovation. The completely decayed fabric covering of the control surfaces is clearly visible in this view of 01701 FLA RF made on 31 August 2009. Although the “Blue Dream” was looking abandoned and derelict when photographed at Tushino on 18 August 2012 without control surfaces and stowed away between old cars and workshop-containers, it was in fact at the height of its restoration by a group of volunteers of Albatross Aero. 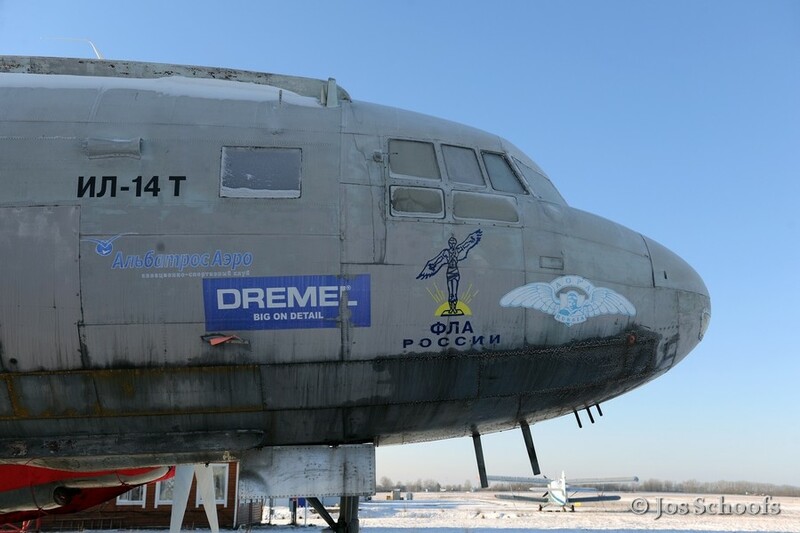 The “Blue Dream” photographed at the Albatross Aero home base Orlovka on 2 January 2016. The serial numbers 06 Blue and 18 White are still visible on the aft fuselage as are the Soviet Star and Russian Flag on the tail. On the nose can be seen the logo of FLA Rossii (ФЛА России), the former FLA RF (ФЛА РФ), as well as that of the Russian branch of AOPA (Aircraft Owners & Pilots Association). 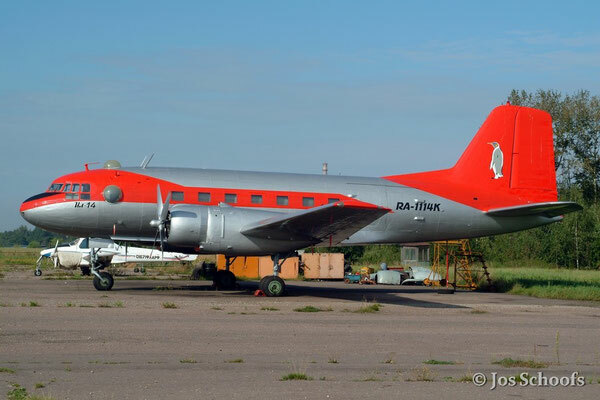 Albatross Aero also owns a Yakovlev Yak-40 (NATO reporting name “Codling”) regional airliner, which was intended to replace among others the Ilyushin Il-14 and which flew for the first time on 21 October 1966. Yak-40 RA-87500 (c/n 9511939) is one of the 1,011 aircraft that were produced at the No. 292 Plant in Saratov between 1968 and 1980. It was manufactured on 7 April 1975 and flew successively with Aeroflot (Аэрофлот, 1975), Air Volga (Волга-Авиаэкспресс, 1993), Elbrus Avia (Эльбрус Авиа, 1995) and Transavia (Трансавия, 2002). 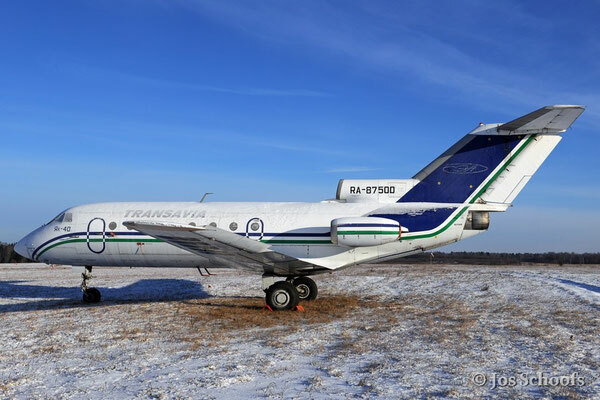 When the aircraft finished commercial service on 5 July 2013, it was stored at Belgorod, some 700 km S of Moscow. The feederliner was acquired by Albatross Aero in July 2014 and flown to Stupino Airport, some 100 km SSE of Moscow, on the 26th. On 4 October 2015, the Yak-40 was transferred to Orlovka, where it still resides today in flying condition. Yakovlev Yak-40 RA-87500 was photographed on 2 January 2016 at Orlovka, where it resides since October 2015 as part of the Albatross Aero collection of airworthy historic Soviet/Russian aircraft. Another historic aircraft operated from Orlovka is Antonov An-2T RA-07853 (c/n 1G17012). 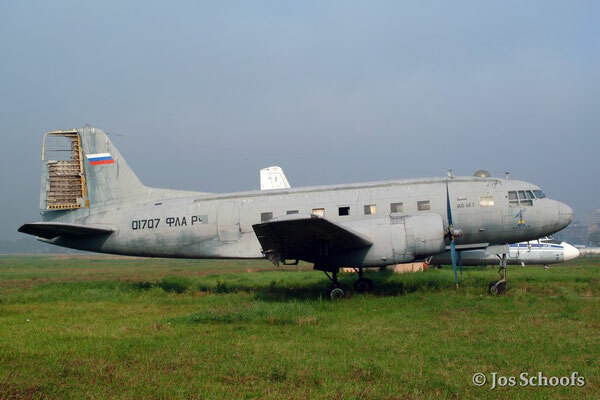 It was built as an An-2 (NATO reporting name “Colt”) passenger aircraft by the Polish factory WSK-PZL at Mielec in 1976 for export to the Soviet Union, where it was delivered to Aeroflot as SSSR-07853 (CCCP-07853) on 10 August 1976. 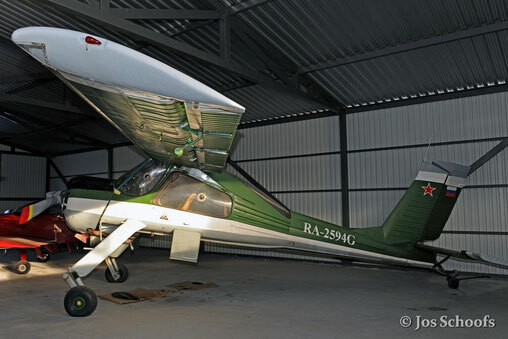 In 1993, the aircraft was reregistered RA-07853 and based at Petrozavodsk-Leski in the northern Republic of Karelia, where it was operated by several companies on behalf of the Aerial Forest Protection Service (АвиаЛесоОхрана) of the Russian Federal Forest Service. It is believed that conversion into An-2T transport configuration took place during this period. When the last of these companies went bankrupt on 1 July 2014, the aircraft was withdrawn from use and put up for sale. On 13 May 2015, RA-07853 was acquired by Staritsa Avia (Старица Авиа), which is named after the city of Staritsa (Старица), 40 km N of Orlovka airfield, and has close links with Albatross Aero. When it was seen at Orlovka on 2 January 2016, Antonov An-2T RA-07853 was still wearing its Aerial Forest Protection Service(АвиаЛесоОхрана) colour scheme. 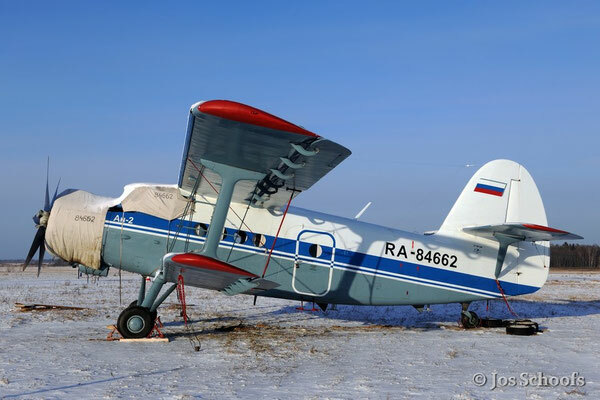 The Antonov An-2R with construction number 1G19140 was also built by the Polish factory WSK-PZL at Mielec for export and was registered SSSR-84662 (СССР-84662) on behalf of Aeroflot on 25 May 1981. The suffix R refers to the Polish word “rolniczy”, agricultural. The aircraft’s cabin was equipped with a tank for 1,300 kg of liquid or powdered fertilizers or pesticides. On 1 March 1993, the aircraft became RA-84662 of Balakovo Air Enterprise (Балаковский ОАО) and was reportedly operated from the airport with the same name until at least 1999, when it was placed in storage. 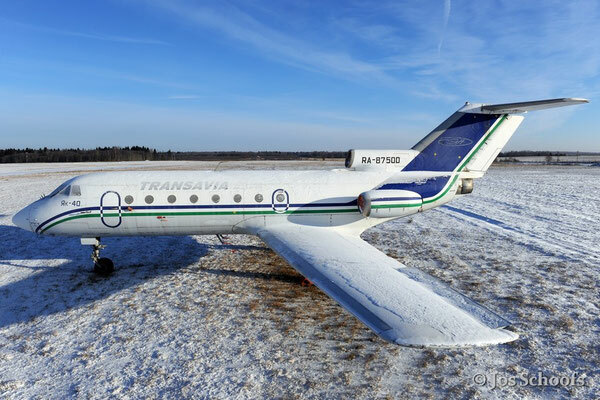 It was bought by a private owner in 2014, fully refurbished and transferred from Balakovo to Orlovka. 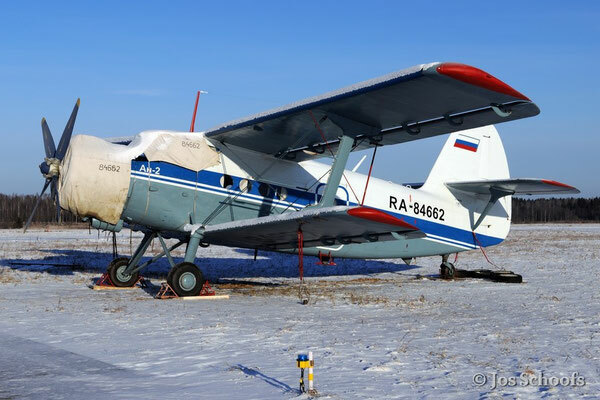 Antonov An-2R RA-84662 was in pristine conditions at Orlovka on 2 January 2016. The Let L-200A Morava is a four seat touring aircraft manufactured by the Let Narodni Podnik company at Kunovice in the then Czechoslovakia. The type flew for the first time on 9 April 1957 and 360 of it were built between 1960 and 1964. The L-200A was equipped with two-bladed propellers, while the D-model had three-bladed propellers. The aircraft based at Orlovka was completely refurbished in 2007 and registered RA-0670G on 5 May 2008. It received its present colour scheme in 2013 and moved to Orlovka in 2015. The PZL-104 Wilga is a short take-off and landing aircraft designed and built by PZL (Państwowe Zakłady Lotnicze – State Aviation Works) in Warszawa-Okęcie, Poland. The prototype made its maiden flight on 24 April 1962 and serial production started that same year. The company was bought by CASA EADS in 2001 and decided to stop the type’s production in 2006 after more than 1,000 had been produced. RA-2594G (c/n 19850833) was built in 1985 as a Wilga 35A and is equipped for glider towing, one of the main purposes it was designed for originally. 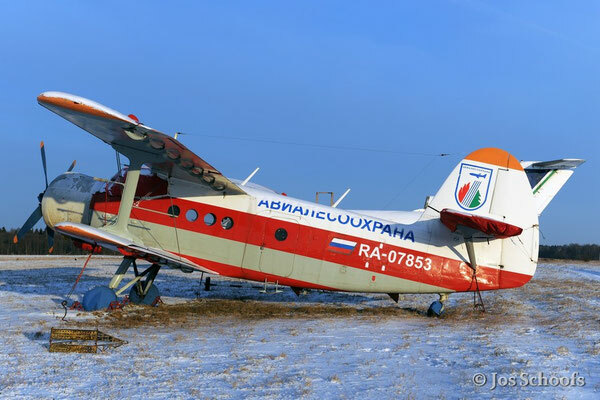 A nice and rare visitor at Orlovka on 2 January 2016 was the ultralight tandem seat aircraft Aeroprakt Ltd A-20 RA-0020G. While all “real” aircraft were staying idle on the ground because of temperatures as low as -20°C, only a number of Rotax equipped ultralights were flying. Development of the A-20 “Chervonets” (Червонец– Golden coin) started in the Ukraine in 1990 and made its maiden flight on 5 August 1991. Production started in 1993 with a Rotax 582 engine instead of the unreliable and less powerful RMZ-640 “Buran” snowmobile engine. 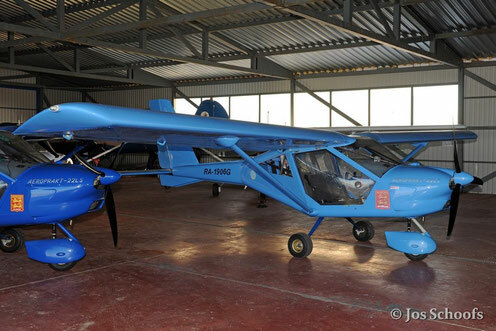 The production A-20 with a Rotax 503 50 hp engine, a fibreglass forward fuselage and aluminium wings has a top speed of 81 knots, a cruising speed of 61 knots and a stall speed of as low as 26 knots. Gross weight is 990 lb. Although the type became medallist at several world and European ultralight championships thanks to its great design and unique flight performance, it is not being produced anymore. 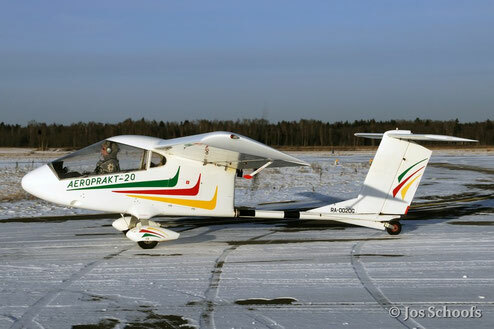 The most successful model of the Ukrainian ultralight aircraft builder Aeroprakt Ltd is the 80 or 100 hp Rotax 912 equipped A-22 “Sharik” (Шарик – Ball), a side-by-side two seat aircraft. The all-metal type flew for the first time on 21 October 1996 and went into serial production in 2000. The basic A-22L model has a maximum take-off weight (MTOW) of 472.5 kg and complies with the ultralight airworthiness requirements. 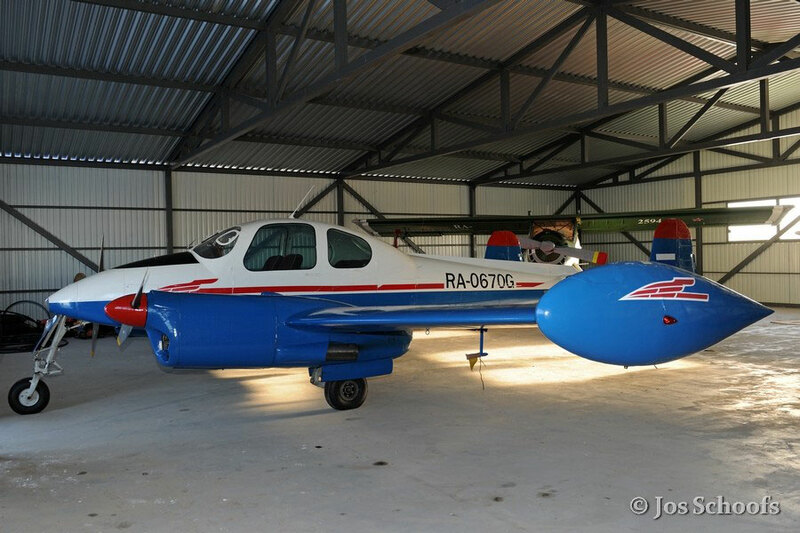 The A-22L2 and A-22LS versions have a redesigned structure for a MTOW of 600 kg and are in accordance with thespecifications for the Light Sport Aircraft (LSA) category. The two brandnew aircraft (RA-1906G and RA1659G) based at Orlovka are A-22LS LSA models and are used for flying training. Both aircraft carry a badge of the famous Normandie-Niémen squadron, a French unit flying Yak-1, Yak-3 and Yak-9 fighter aircraft against the Luftwaffe in the Soviet Union during the Great Patriottic War.